Nice fabric and a good seller. I could barely find a good replacement fabric for my awning and this 10x8 fabric fits perfectly. Overall I am very pleased. Excellent awning fabrics offer endless possibilities for enhancing your home's beauty and decor. Awning fabrics add shape, dimension, color, and can fit almost any home's unique character and style. Your deck will be shaded from the hot sun rays and, depending on the awning fabrics, can provide outdoor protection for your entire family on a rainy day. Awning fabric replacement for retractable Awnings is Compatible with almost all other awnings brands. This ALEKO awning replacement fabric is a soft, breathable solution that is UV, water and mildew resistant and does not noticeably shrink or stretch. 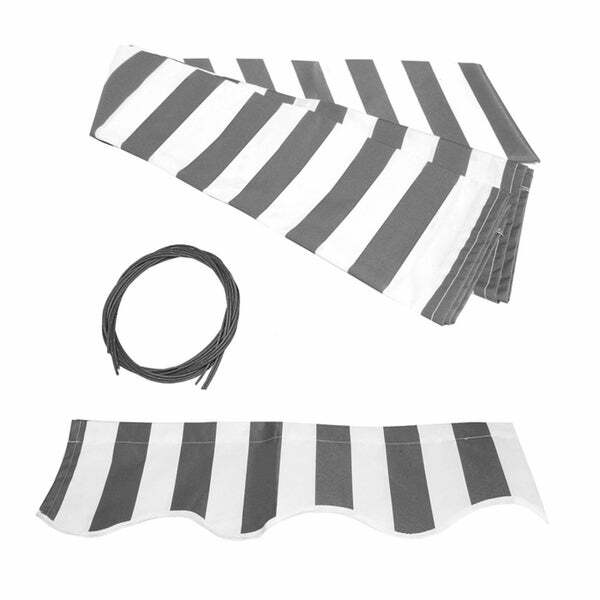 Really fast and easy to replace with your old awning fabric.